Cleaning the kitchen and the pantry always springs up a mixed bag of emotions - surprise, disappointment, guilt as well as delight. I am pleasantly surprised when I find things, which I thought were lost, and they were just seating behind a jar or bottle without whispering a word. Shouldn't they have screamed "I'm here, I'm here" when I was looking for them!!! The disappointment comes from the expired canned and bottled goods I bought long (read long long and long) ago. I guiltily trash them, and promise myself not to buy things that I don't need, but again promises are to be broken, aren't they?? And the delight, yes it comes at the end, when all the clean up is done and for sure I can relax for next few months (read at least 6), unless a next 'Buried alive' situation arises. So in the middle of Spring I was doing spring cleaning, which was long due and to my joy found several different lentils. The list was like this, red kidney bean (rajma), black eyed bean (lobia), whole mung (moog), whole black lentil (urad), whole red lentil (masoor). I was quite happy to find these, as I love mixed dal. 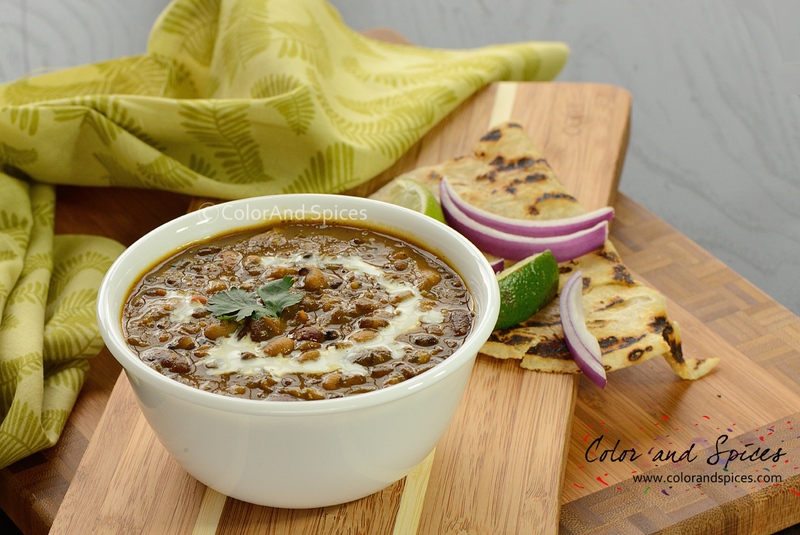 Mixed dal is an Indian preparation of pulses or lentils with spices. I took all of them and soaked them in water. 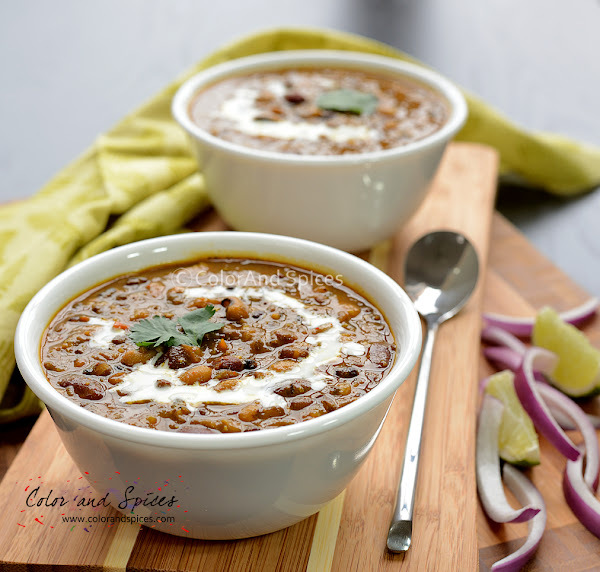 It is advised to soak the lentils/ dal overnight, but if you are in hurry soak for at least 4-5 hrs in hot water. I followed a simple recipe to make this mixed dal, to go with some roti(s). 1. Soak multiple varieties of dal/ lentils overnight or at least 4-5 hrs. 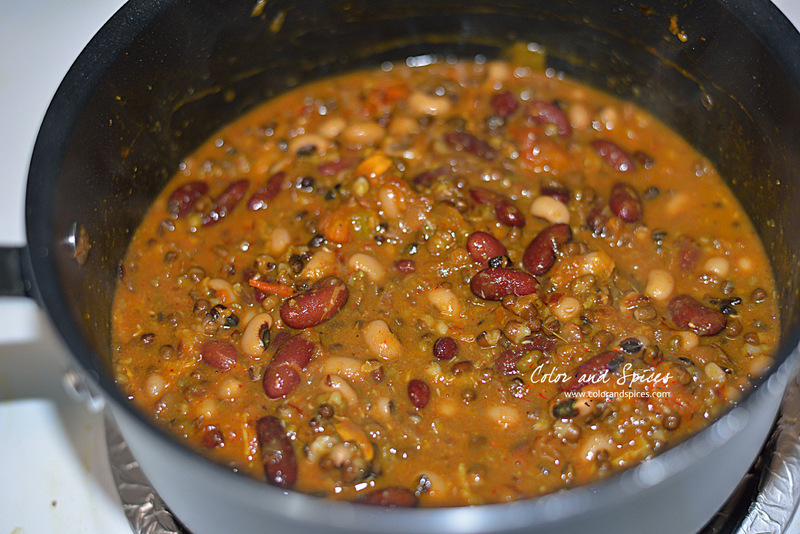 I used red kidney bean (rajma), black eyed bean (lobia), whole green lentils (mung dal), whole black lentils (urad dal), whole red lentils (masoor dal). 2. Drain water and wash the dal well by changing water. Put them in a pressure cooker along with things under the list 'To boil the lentils/ dal'. Put enough water, so there is one inch water above the level of lentils. 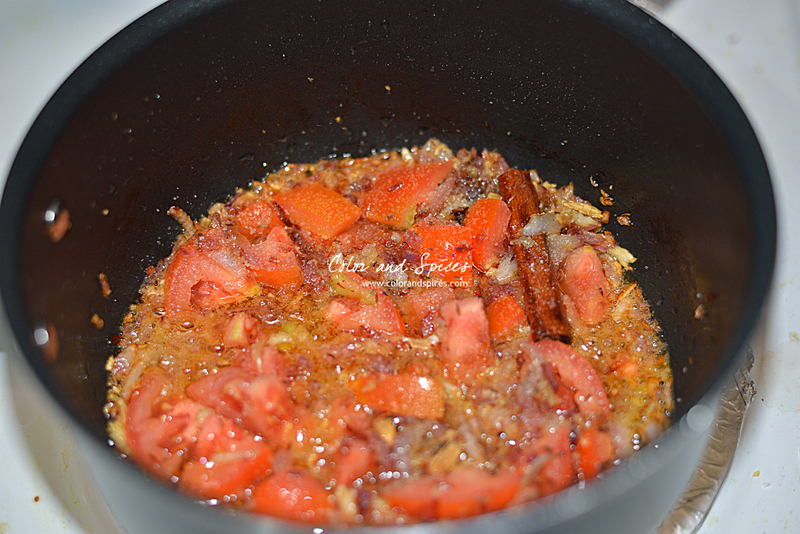 Let the cooker whistle twice, reduce heat low-medium and cook for 15-20 min. Switch off heat and wait till pressure releases. 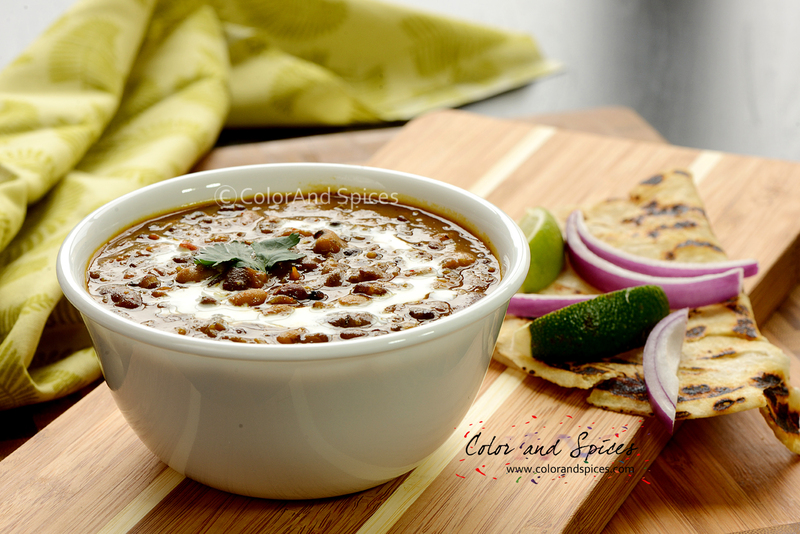 Check whether the dal is done or not. Discard the whole ginger piece. With a back of a ladle mash some dal, but not all. 3. In a heavy bottom large deep pan, heat oil (any vegetable oil is good). 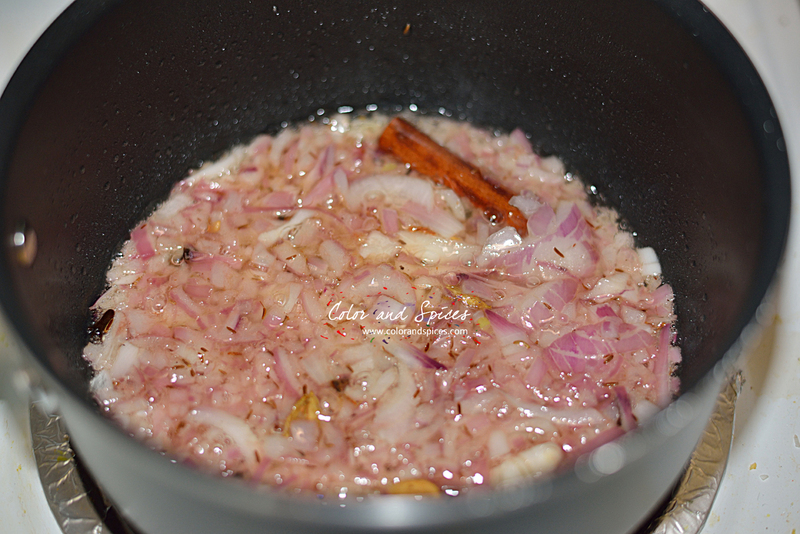 When the oil is hot add chopped onion. 4. 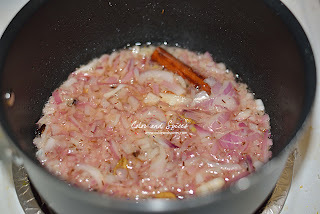 Cook till the onions start to take red color. Add garlic paste, cook for 1 min. Add ginger paste, cook for 1-2 min. Add chopped tomato, sprinkle a little salt, cover the pan and cook over medium heat till the tomato is done. 5. 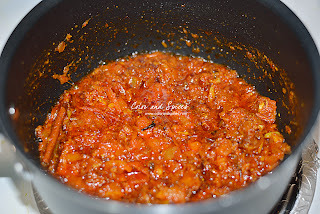 Add red chili powder, kashmiri red chili powder, coriander powder, turmeric powder, mix well. 6. 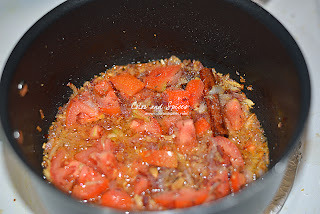 Reduce heat, as the spices release oil add the boiled dal. Mix well. 7. Add 1 cup hot water, cover the pan and cook over low heat for 20 min. In between give the dal a good stir. Add honey and mix well. Check seasoning and adjust accordingly. Add garam masala powder, kasuri methi, mix well. Serve hot, just before serving add a tablespoon of butter or garnish with fresh cream.